The Nelson Companies, Ltd., together with its affiliates, has more than 39 years of experience in acquiring, developing and redeveloping office buildings, retail centers, hotels, industrial properties and multi-family residential buildings. The Company’s experience includes the development or redevelopment of over 2.5 million square feet of office and hotel space, property management of over 2.8 million square feet and leasing over of 5 million square feet of office, retail, manufacturing and R&D real estate. 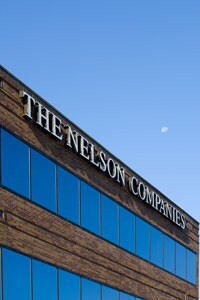 In addition, The Nelson Companies has created and managed numerous tenant amenities and associations including child care and elder care services, fitness centers and wellness organizations, transportation services (including shuttle bus and helicopter service), a public/private transportation consortium, hospitality facilities and eateries. The Company’s goal, from its inception, has been to create better work environments that help companies thrive in an increasingly complex economic and social climate. Led by the vision of its founder, Arthur H. Nelson, The Nelson Companies has been the pioneer in creating corporate communities. The Company was the first in the nation to offer full-day kindergarten facilities in an office park. In that same office park (Prospect Hill Executive Office Park) in Waltham, Massachusetts, the Company was the first to offer a high-speed fiber optic connection to the academic and government cyber-space infrastructure known asNearNet, which would eventually become the Internet of today. The Nelson Companies has always prided itself on being an outstanding corporate citizen and has aligned its philanthropic works closely with its business initiatives. The Company has been a major supporter of The 128 Business Council, the Charles River Museum of Industry & Innovation, and More than Words. The 128 Business Council is a non-profit transportation management association, whose goal is to “Unlock the Grid” on Route 128 by providing alternative transportation solutions and education to members of the 128 business community (visit http://www.128bc.org). The mission of the Charles River Museum of Industry & Innovation is to document the history of the industrial revolution and past innovation and encourage and inspire future innovation in America (visit http://www.crmi.org). More Than Words is a social enterprise venture that empowers youth, who are in the foster care system, court involved, homeless, or out of school, to take charge of their lives by taking charge of a business (visit http://mtwyouth.org).